Before the battle lines were drawn, before the anti-vaccine movement, and long before the discredited Dr. Andrew Wakefield who embellished the research that connected autism with the MMR vaccine there was Helen Keller. In 1882, at a year and a half old, Helen was struck with a serious viral disease. History suggests possibly scarlet fever, meningitis or even measles. The last seems most likely since at that time Alabama, where Helen lived was going through a serious measles outbreak. 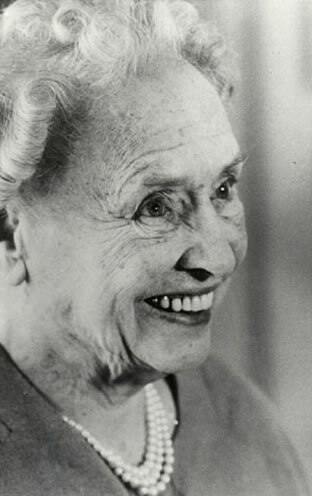 Helen Keller survived the illness but emerged deaf, mute and blind. 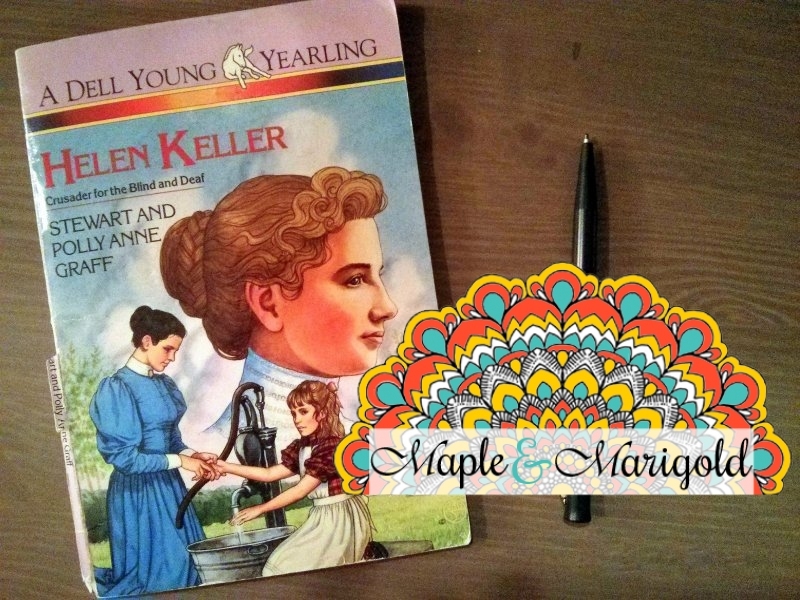 My daughter and I were at a yard sale a few years ago and came across a book about Helen Keller and her journey. We cried as we read the story of a woman who despite her disabilities, or perhaps because of them, fought tirelessly for social change and equality. She campaigned for vaccines every chance she got. She felt strongly in particular for children who were struck with blindness as a result of preventable diseases. Measles was one of those preventable diseases. Will you not help me hasten the day when there shall be no preventable blindness; no little deaf, blind child untaught; no blind man or woman unaided? She was talking of the effects of measles – the same viral disease that was once thought to be eradicated. Recently this preventable disease has reawakened across the world specifically in parts of North America from California Disney to Toronto, Canada. Measles is one of the most contagious viral diseases and a major cause of vision loss in many places around the world. Helen Keller knew this disease could be prevented with a safe and inexpensive vaccine, and she campaigned to encourage parents to vaccinate their kids. This was in the 1920’s. Today almost a 100 years later the need for vaccinations is still in doubt. There is still an ongoing debate whether our kids are safer with them. There is still endless controversy between parents with endless arguments from the pro and the anti-vaxxers. Despite the hurdles she faced, Helen Keller along with her teacher, Anne Sullivan is celebrated across the world. Helen grew up to go to Radcliffe College and became a prolific author, an internationally famous speaker and a fierce advocate for the disabled. In her speeches there lay the truth – vaccines help prevent diseases. So if you were to listen to one celebrity today, please let it not be Jenny McCarthy or Charlie Sheen. Please listen to Helen Keller. Love the image you used here. I am pretty sure I read that exact one. The measles vaccine can cause deafness and blindness too. Read the packet insert of the MMR. Measles used to be as common as the common cold, and yet most people didn’t become blind and deaf like Keller. Most recovered just fine, including my parents. You’re better off catching the usually-mild-illness naturally and become immune that way than to risk poisoning yourself with vaccines that come with the same risks as the disease as well as additional health risks, many of them chronic. “Measles is considered more contagious than almost any other disease. Measles is no picnic. It causes a very high fever, breathing problems, and a nasty rash that spreads over the entire body. Most people eventually recover, but in children, about one in 10 will also get an ear infection, and up to one in 20 will get pneumonia. The CDC says that in 2011, 38 per cent of children younger than 5 who had measles had to be treated in the hospital. In severe cases, measles can cause encephalitis, which is a swelling of the brain that can lead to permanent brain damage. Other children will become deaf from the encephalitis. And of course, there is the risk of death. Before vaccines were available, measles killed several hundred Canadians each year. And there is no way to cure measles; doctors can only treat its symptoms. Package inserts are a good place to start but the benefits of the medication – a vaccine in this case – far outweigh the risks.